Browse our suggestions for creating the honeymoon of your dreams at Lily Beach! Leave nothing to chance and plan your romantic getaway in advance to make your special holiday as romantic as it gets. Treat yourself to some of the trending experiences for honeymooners and be at ease that your much-anticipated holiday as newlyweds will encompass all those amorous occasions that make the Maldives the world’s most popular honeymoon destination. To share your excitement over having found the love of your life and spending your first holiday together as Mr. and Mrs., invite your family, relatives and friends to help you make your stay at Lily Beach filled with even more romantic occasions. Have them gift you with something that you find meaningful; experiences that await you at Lily Beach certainly outweigh the traditional wedding gifts, so why not create a wish list and help those closest to your heart make the decision about what gift to give you a lot easier. Choose from Lily’s most romantic gifts for honeymooners that you wish to receive. 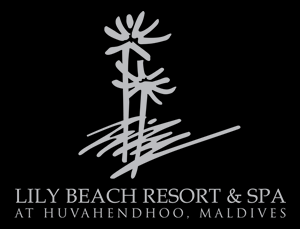 Let your loved ones know what you wish to experience during your honeymoon at Lily Beach. Share via email, Facebook or Twitter.